Mitchell Robinson. New York Model Management. @modelmitchell. 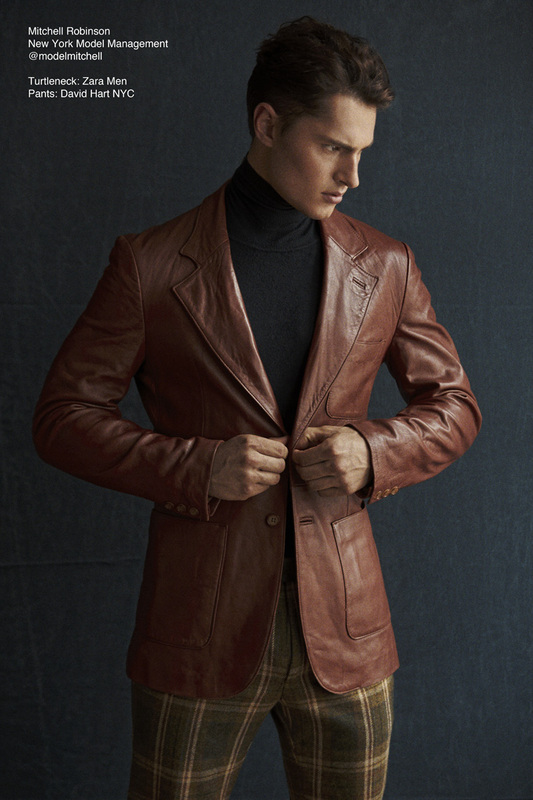 Mitchell wears a turtleneck by Zara and pants by David Hart NYC with a vintage leather jacket.